There’s nothing quite like working together towards a common goal. Almost exactly one year ago, we helped Sustrans and Living Streets to campaign for a safe road crossing. We brought our inflatable pop-up zebra crossing to Barking to help local residents who were struggling in the face of road danger. It was telling that those who attended the protest ranged in age from 5 to 85. The road concerned passes both a school and daycare centre. Despite a 30 mph limit, we witnessed many vehicles travelling in excess of 40 mph. The great news is that work has just finished on a real crossing and forms part of traffic calming measures in the area – and indeed the city as a whole. 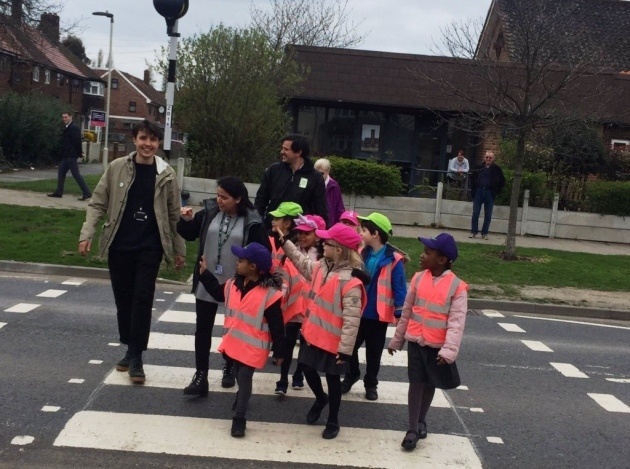 The mayor of London last summer announced a Vision Zero – an initiative that aims to eliminate all road deaths and serious injuries from London’s transport network by 2041. Of course, safe crossings are only a very tiny part of the solution to the road danger that plagues the lives of millions. They do not replace the need for a holistic solution – a systematic approach to the reduction of road danger involving well-designed infrastructure, legal framework, enforcement and education. Is that the same mayor who has overseen a dramatic increase in knife crime in the capital?